Uniting the global Modern Trade and Barter Industry with a universal structure of standards, regulations and a Code of Ethics and peer review process. Promoting Modern Trade and Barter as a responsible form of commerce to the public, media and government agencies. Providing legislative advocacy and political action worldwide. 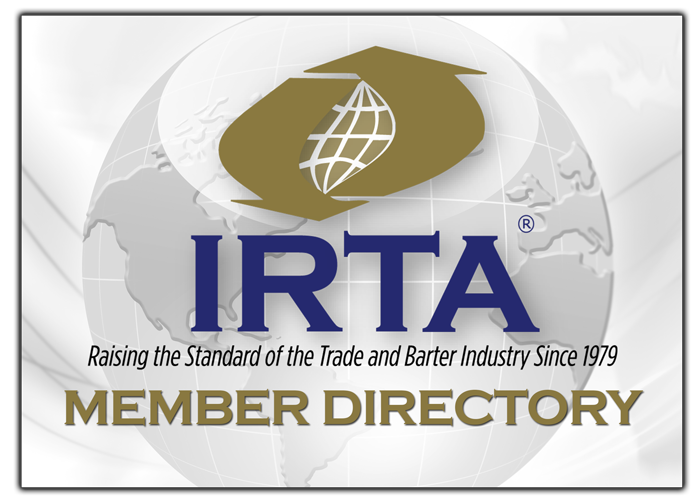 Sharing best practices of Modern Trade and Barter to enhance the growth and profitability of Industry Members. Raising professional standards by education and training and awarding credentials solely based on professional knowledge experience and achievements. Leading the Modern Trade and Barter Industry into the future, by anticipating changes in laws and governmental regulations that affect the Industry. Encouraging the worldwide expansion of Modern Trade and Barter through mutual support and the free exchange of ideas and information among Industry members.